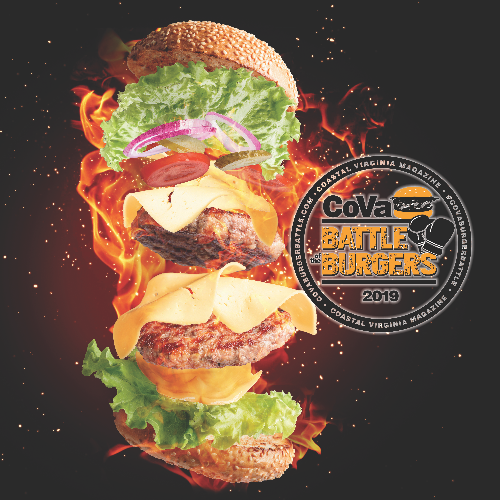 Join Coastal Virginia Magazine as we invite peninsula restaurants to the battle it out to become CoVa’s Best Burger at the 2019 CoVa Battle of the Burgers. Attendees will be invited to vote for their favorite burger after sampling the delicious sliders, drinking Virginia craft beers and enjoy live entertainment! *All tasting ticket holders will have IDs checked upon entry. This is an event where alcohol is served/sold and is therefore not conducive to strollers, toddlers, and children. We cannot allow strollers, toddlers, children or anyone under the age of 21 inside the event venue. Thank you for your consideration.